Massachusetts Institute of Technology was first position in the QS World University Rankings for 2012/2013 up from position three in 2011/2012. The Institute gathered an overall score of 100 to top the list of best universities in the world. MIT opened doors to its first students in 1865 with the mission to educate and advance knowledge in technology, science and other fields that serve the world and the nation best in the 21st century. Over the years, MIT has excelled in its core mission and mandate of generating, disseminating and preserving knowledge. It comes as no surprise to many people that the university always ranks top in different lists of best universities in the world. True to its mission, the institute is credited for working with stakeholders to bring knowledge to bear on challenges facing the 21st century world. 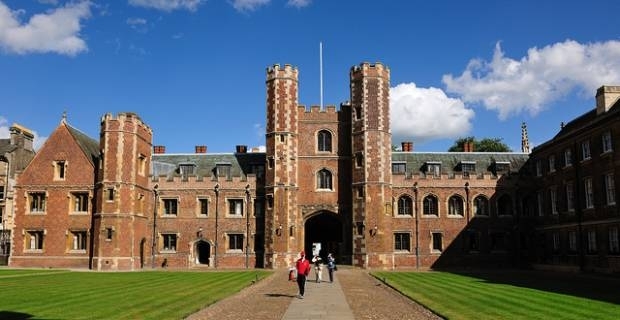 The University of Cambridge was position one in the 2011 annually QS World University Rankings. In 2012, the university was position two with a close overall score of 99.8. As one of the oldest universities in the world and one of the largest universities in the United Kingdom, the University of Cambridge has won many international accolades over the years for outstanding academic achievement. The university takes pride in world-class research contribution of its staff and intellectual excellence of its students, which has cemented the university’s high ranking in prestigious lists of best universities in the world. Many respected, independent teaching and learning reviewers endorse the university’s academic excellence, including External Examiners and Quality Assurance Agency. Closing the list of best three universities in the world 2012/2013 is America’s oldest institution of higher learning. Harvard University was founded in 1636, 140 years before the signing of the Declaration of Independence. Through the years the university has consistently offered the highest quality education and research undertakings that have ensured the university always ranks high on lists of premier world universities. The university gathered an overalls core of 99.2 to come in at number three down from position two in 2011.